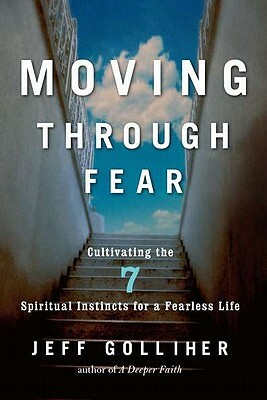 A powerful and important new work that will help readers develop their spiritual instincts and move from a life of fear to one of freedom. Rev. Jeffrey Mark Golliher, Ph.D., a cultural anthropologist and priest in the Episcopal Church, has traveled widely to understand the spiritual dimension of the environmental crisis. For over 10 years, he was Canon for Environmental Justice and Community Development at the Cathedral of St. John the Divine in Manhattan. Today, he is a parish priest and spiritual director, working with people who want to live in more spiritually-aware, healthy, and sustainable lives. As the environmental representative for the worldwide Anglican Communion at the United Nations, he has organized global conferences on spirituality, ecology, and community development, and he has written and edited numerous books and articles on these subjects for the church and the United Nations. He was born and raised in the Blue Ridge Mountains of western North Carolina. He and his wife, Asha, live in upstate New York. "Through a skillful, balanced blend of sympathetic insights into the human condition and wise observations gleaned from the Bible, Golliher creates satisfying reading for a general—rather than strictly faith-based—audience that neither preaches nor attempts to proselytize." "With intimate and affecting prose, Golliher brings home a message that is at once comforting, socially conscious, and resounding in its bold spiritual wisdom."